Thirty year old Alaa Alshaqra moved to Sweden two years ago from Palestine, due to the dangerous situation back home. In Palestine he used to work as a civil engineer in construction of roads and buildings and was a site engineer for United Nations in different projects supporting the Palestinians in Gaza strip. When he got to Sweden, he had difficulties in getting a job within his field and was unemployed for some time, even though he attended different internships. 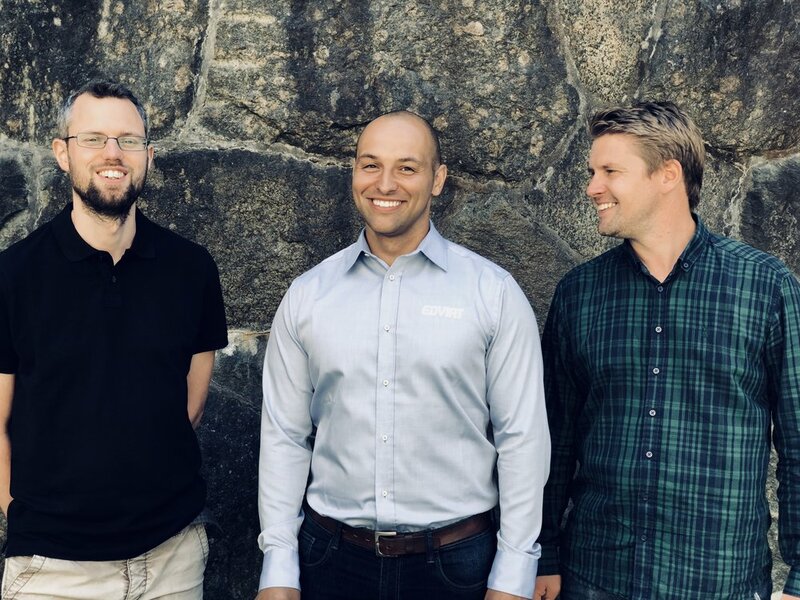 When the E4 Stockholm Bypass project started he got an offer to participate in Edvirt´s shotcrete and grouting certification courses, arranged by the City of Stockholm and EfAS (The Unit for External Employer Interaction). The courses equipped Alaa with hands on knowledge that was great to combine with his engineering degree and previous work experience from Palestine. It also helped him to get a job in the tunnelling industry. “It was a really good course with a mix of theory, practical assessments and information around safety procedures. The course is well suited for both operators and engineers”, says Alaa. He now works for LSAB (Lovön Samverkan AB) at the site FSE308 in the E4 Stockholm Bypass project. His job duties are mainly quality control engineer, but also to follow up and apply shotcrete and to be part of the grouting team, both of which he is certified for by the Swedish Transport Administration. The course Alaa attended was initiated and financed by the City of Stockholm and the department EfAS. Edvirt is now also running a similar employment program with West Hisingen district in the City of Gothenburg. “We especially enjoy to hold courses for participants like Alaa, where the course can make a huge difference for individuals. It’s really great to see him at his new job”, says Edvirt’s CEO Tomislav Rogan. 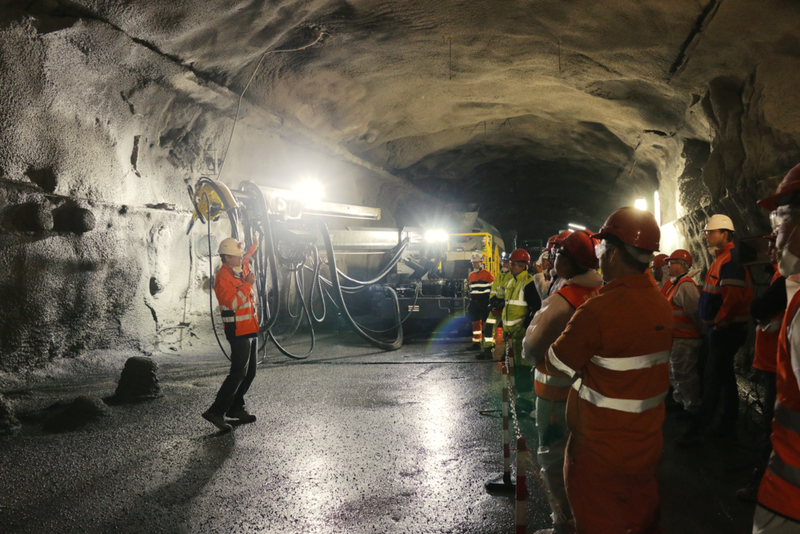 The demand for underground workers in the Swedish mining and tunneling industry is getting bigger and bigger. 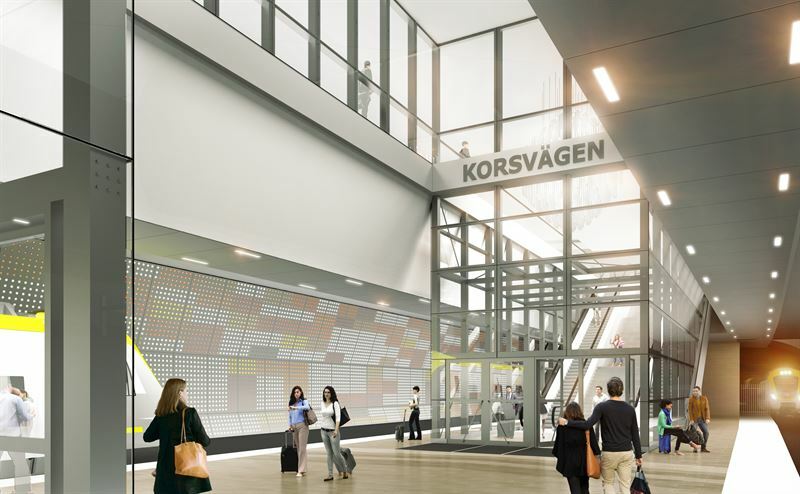 At present, there are a couple of major projects ongoing, including LKAB’s and Boliden’s mining sites as well as the tunneling projects E4 Stockholm Bypass and the Westlink. The are also huge projects underway like the Nuclear storage project in Forsmark and the extension of the subway in Stockholm. There is already a shortage of underground workers in the industry and over the next 10 years there will be an even bigger need. Edvirt has together with the City of Gothenburg entered into a collaboration about the training of 10 unemployed individuals living in the West Hisingen district. The participants are given the opportunity to go through Edvirt’s shotcrete training courses, equipping them with skills for work underground. The courses and training is currently in progress and will include theory, concrete lab tests and shotcrete VR-training. The participants will after the training also do internships at various sites in Sweden. Edvirt performed shotcrete training in Mongolia for operators working at Rio Tinto, Oyu Tolgoi. The site is a combined open pit and underground mining project. The Oyu Tolgoi mining project is expected upon completion to produce 450,000 tonnes of copper and 330,000 oz of gold annually. 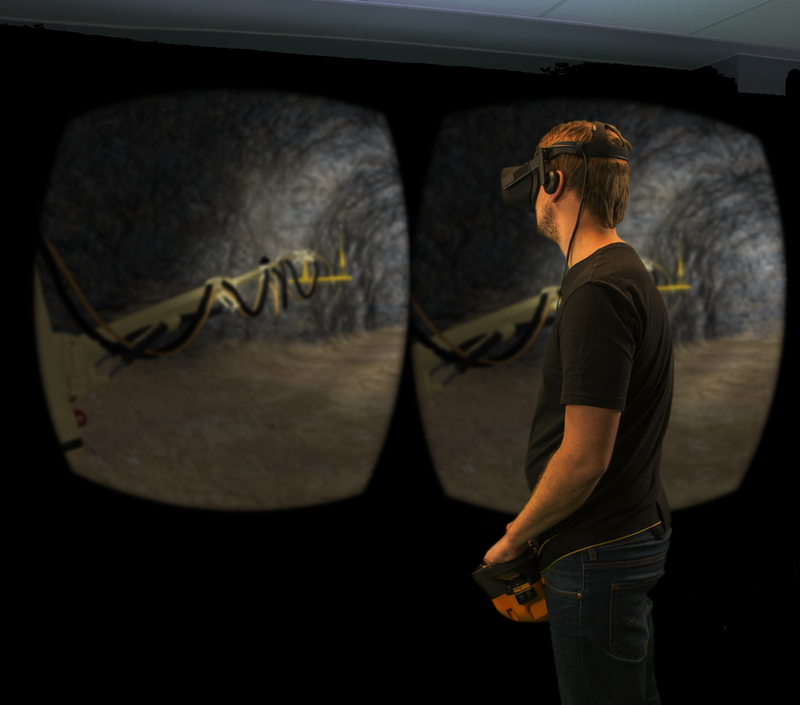 Other than operators performing training, Edvirt had a lot of engineers that tested the VR Shotcrete Simulator™. 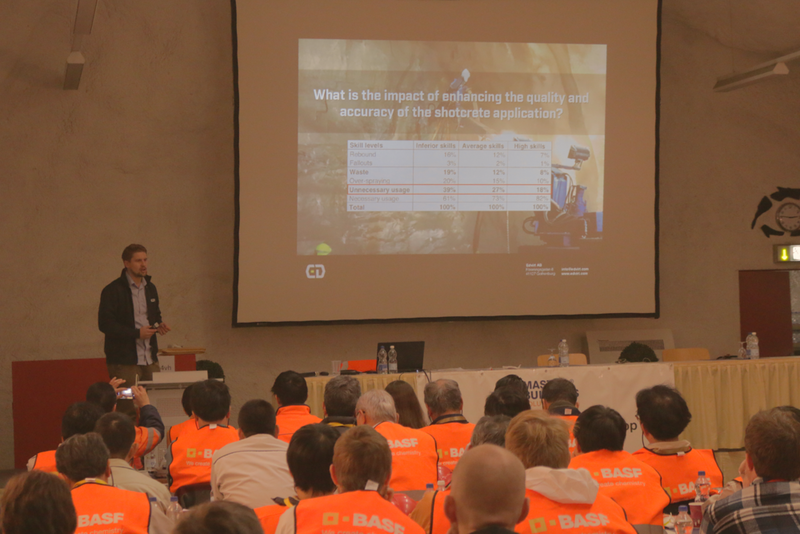 This time Edvirt went to India to showcase the VR Shotcrete Simulator together with BASF. Visits included Afcons in Nagpur and a few other locations. The simulator was well recieved and we promise to come back soon! Bergmekanikdagen och Bergteknikdagen (formerly known as BK-dagen) was held at Münchenbryggeriet in Stockholm. Edvirt had a sucessful exhibition at the event where we had great discussions about concrete spraying and the importance of training. Congratulations to Anton Lind who won the Master Sprayer Competition and recieved a tablet. 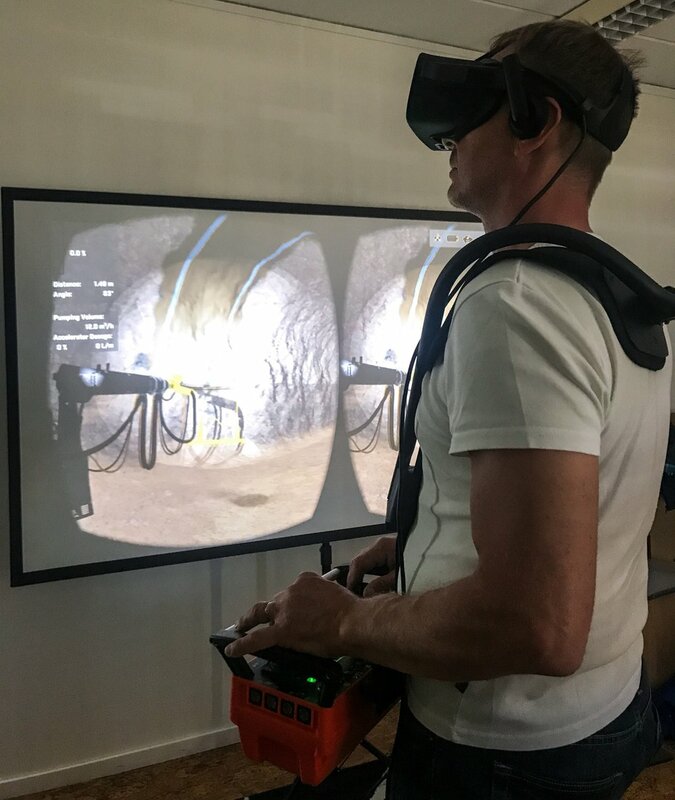 Edvirt™ started off the year by making an apperance in Hong Kong to showcase our VR Shotcrete Simulator™ in the asian-pacific region. The event was organized by BASF and included visits to CIC (Construction Innovation and Technology Application Centre), Paul Y. Engineering and Infinity Lab where the "Golden Nozzle Competition" was held. We would especially like to thank James Mulholland and Michelle Poulter for organizing this amazing event! Edvirt® is currently training some operators at Boliden's sites in the Skellefteå area as a part of Boliden's new certification Bergförstärkning med sprutbetong inom Boliden ("Rock support with shotcrete at Boliden"), established together with Edvirt®. The certification courses include theory, lab tests and simulator training and assessments. Edvirt is accredited by the Swedish Transport Administration to run sprayed concrete courses and issue the certificate "Sprutning med sprutbetong inom Trafikverket". The certificate is required for operators that work underground with sprayed concrete in the E4 Stockholm Bypass project. 20 persons attended the first course that was held at SIKA's facilities in Stockholm last week. The course included theory, laboratory tests and simulation training. Great to see so many at Edvirt's booth at Bergmekanikdagen and BK-dagen last week! Congratulations to Johan Holmberg from Rockplan Sweden AB who won the VR Master Spraying Competition and received a well deserved tablet. In february, Edvirt went to Ireland and helped QME organize their machine scaling training for their operators in order for them to be prepared for the arrival of their JAMA scaling machines. The training included theory and simulator practice with Edvirt's 3D Scaling Simulator™. First two E4 Stockholm Bypass grouting courses - Fully booked! Edvirt is accredited by the Swedish Transport Administration to run grouting courses and issue the certificate "Berginjektering inom Trafikverket". The certificate is required for operators that work underground with grouting in the E4 Stockholm Bypass project. 40 people attended the first two courses that were held at SIKA's facilities in Stockholm last week. Johan Funehag was the course leader and the courses included theory, laboratory tests and simulation training.